Media Research Center reveals who is funding the "Day without a Woman" demonstrations throughout America. Billionaire George Soros is behind the protests against Donald Trump according to a report by conservative think tank Media Research Center. Soros gave $246 million to groups behind Wednesday's "Day Without a Woman" protest, as well as providing funds for the initial women's protest which took place in Washington in January. Wednesday was "International Women's Day," and schools in at least four states cancelled classes so teachers and staff members could participate in "Day Without a Woman" demonstrations. Movement organizers claimed that the demonstration was not politically related and was only meant to spotlight gender inequality, critics say it is intended to protest President Donald Trump. The strike was initiated by the same organizers of the historic Women’s March on Washington in January, which drew hundreds of thousands in protest against the president. A report released by the Center Wednesday claims that Soros, whose net worth is estimated at 25 billion dollars - gave millions to groups behind the demonstration. 100 of the march's 544 groups received the funding from Soros totalling $246 million, according to the Center's report. Such groups included Planned Parenthood, the Center for American Progress and People for the American Way (PFAW), the report claims. 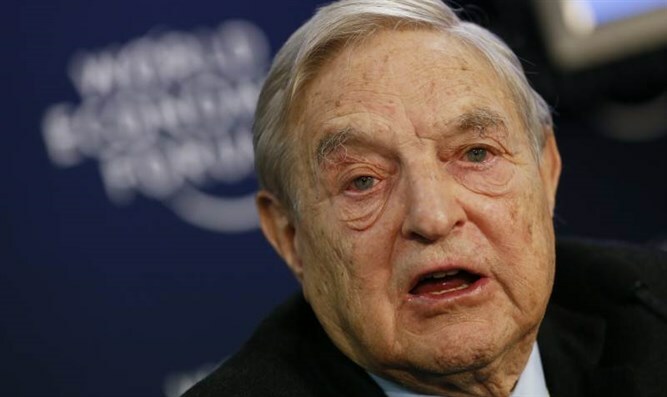 "Those donations represent just a fragment of Soros’ massive global influence," the Media Research Center said on its website. "His Open Society Foundations have given away more than $13 billion to push his globalist, anti-American views." Soros is also virulently anti-Zionist.